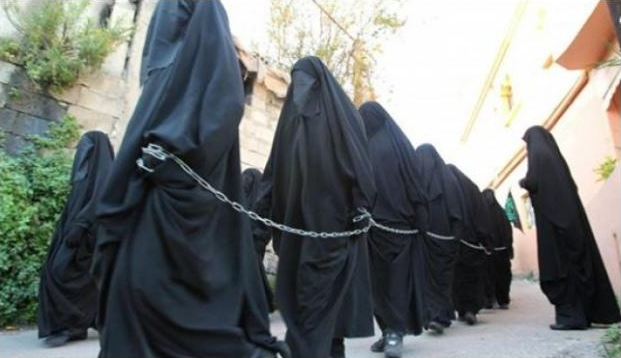 The apple doesn't fall far from the tree. Alex Soros is already wining and dining with all the "right" people, to ensure he is in a position to carry on his father's "good" work. George Soros’ son Alex has emerged from the shadows and is threatening to carry on his father’s work: global corruption, conflict creation, regime change, and crashing economies for personal gain. 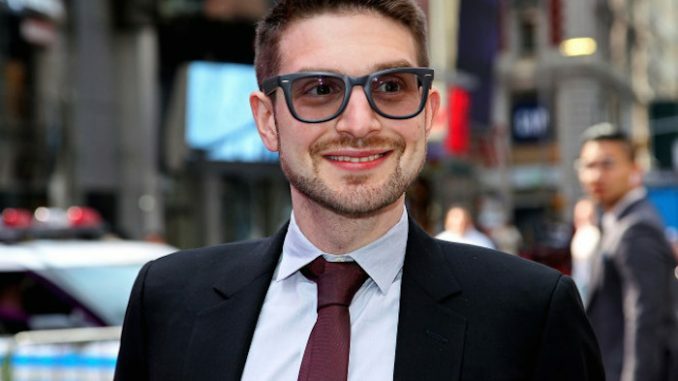 Like his father, Alex Soros believes it is his duty to disrupt nation states, do away with traditional values, and delete Christianity from the face of the earth. Also like his father, he has all the right friends. In the midst of the DC leaks revelations, and the WikiLeaks exposé proving George Soros manipulated Hillary Clinton while she was Secretary of State, it is a disheartening to know that 86-year-old Soros has a 31-year-old mini-me emerging from the shadows, threatening to continue his father’s global destabilisation legacy. 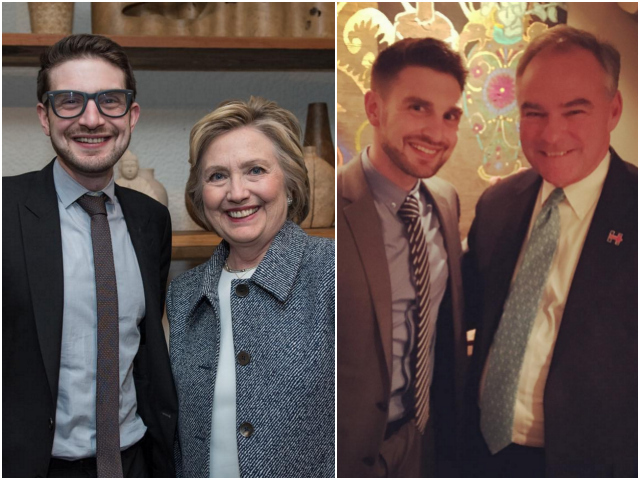 Sen. Tim Kaine (D-VA), Democratic presidential nominee Hillary Rodham Clinton’s running mate, dined exclusively with the son of progressive billionaire George Soros on Thursday evening, according to a photo posted on Alexander Soros’ Instagram on Friday afternoon. 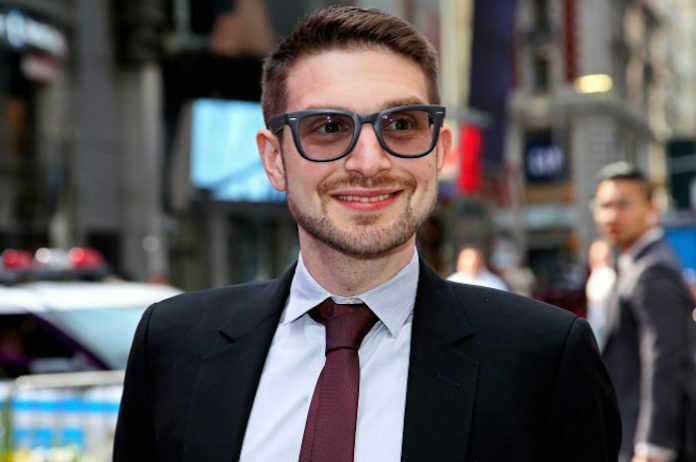 The fact that Alex Soros, who was inspired in his own progressivism by his controversial father, has unfettered access to Kaine—Hillary Clinton’s running mate—is unsurprising. The Clinton apparatus has long come under scrutiny for their closeness with high dollar donor class figures, some of which has prompted federal law enforcement to fight for an official criminal investigation into the “Clinton Cash” narrative—one the Department of Justice (DOJ) under Attorney General Loretta Lynch has reportedly shut down. That being said, reports have surfaced that the U.S. Attorney for the Southern District of New York Preet Bharara is in fact investigating—along with the FBI—the Clinton Foundation for such donor class proclivities with the Clinton apparatus. Even more troubling than the Clinton Cash narrative though is the fact that Hillary Clinton’s tax returns—the 2015 returns were released on Friday—show that she and Bill Clinton have made a whopping $240 million since leaving the White House when George W. Bush won the 2000 presidential election. That’s a long way from “dead broke,” which they said they were at the time, and it’s all from their governmental connections and paid speeches. Alex Soros’ Tim Kaine summit comes after a litany of other high-profile meetings he has had with top Democrats. In fact, during the Democratic National Convention (DNC) in Philadelphia, he got a coveted meeting—and photograph—with Hillary Rodham Clinton herself. “There can only be one #womancrushwedensday today and that is of course @hillaryclinton, not just for being the first woman to run for president from this nation’s two largest political parties, but I believe the best presidential candidate this nation could have today! Looking forward to seeing her crush it tomorrow! #wcw #hillaryclinton,” he wrote about his meeting and photograph with Clinton herself. In the past few months, he’s gotten at least a couple of meetings with the sitting president of the United States—Barack Obama—photos of which he posted on Independence Day, July 4, and June 14. In the July 4 posting, Soros bashed the United Kingdom’s decision to vote to “Leave” the European Union—called Brexit. 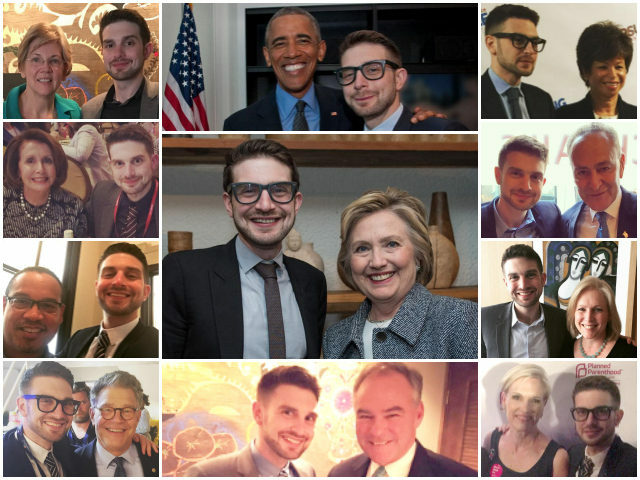 Alex Soros has also got photos with his father, George Soros, Sen. Chuck Schumer (D-NY)—the likely next Democratic leader in the U.S. Senate since Senate Minority Leader Harry Reid is retiring—House Minority Leader Nancy Pelosi, Sen. Al Franken (D-MN), Planned Parenthood president Cecile Richards, Muslim congressman Rep. Keith Ellison (D-MN), Sen. Kirsten Gillibrand (D-NY), Sen. Elizabeth Warren (D-MA), and the highly controversial Obama adviser Valerie Jarrett.